The Stomp Pad that never wears out! 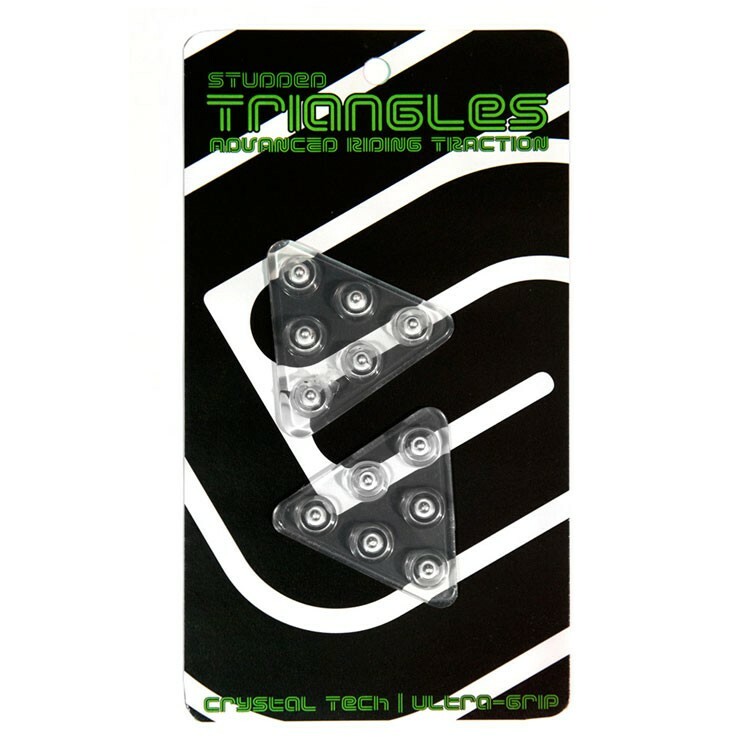 The Grayne Metal Studded Triangles Stomp Pad is made superior adhesives that are specifically designed to function in snowboarding conditions! That means your stomp pad won't be falling off any time soon and the aluminum studs mean this stomp pad will last the entire life of your snowboard! To keep from interferring with the graphic of your snowboard this stomp features two small triangles design with Crystal Tech to allow for pristine clarity through the pads and minimal board coverage. If you haven't ridden a metal studded stomp pad, well then you've never experienced what real hold actually is!